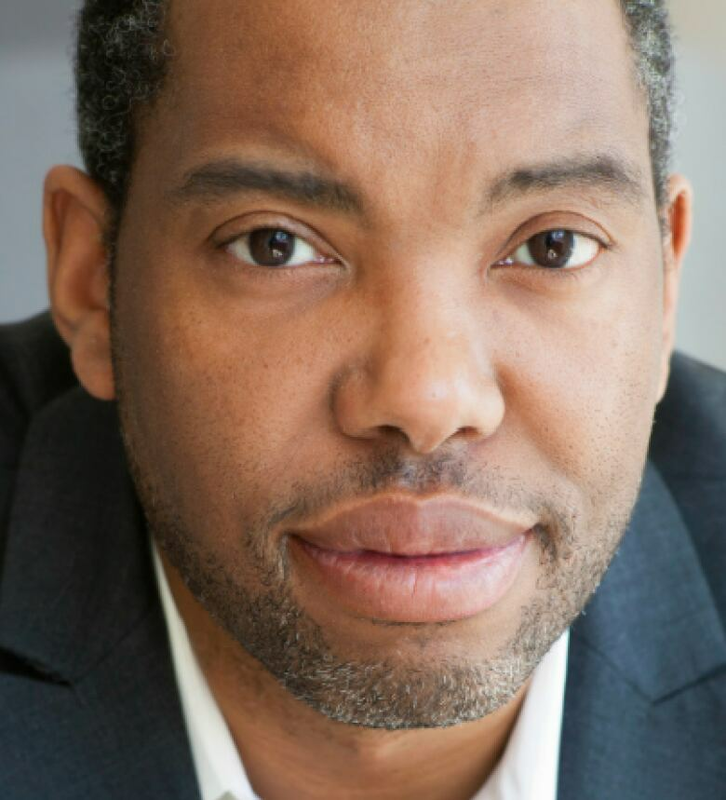 Author Ta-Nehisi Coates says the foundation of Donald Trump’s presidency is based on the repudiation to Barack Obama’s legacy. America, it seemed, had taken a huge turn in its fraught history of racism when African-American Barack Obama was elected to be first black U.S. president in 2008. At the time, Ta-Nehisi Coates was an up-and-coming journalist writing for The Atlantic, focusing on the issues of race in America. "It's going to be pretty big for white people, because I think there are a lot of white people—given that we are still living in a segregated country—who don't see African Americans going their ordinary business," Coates told The Current's Anna Maria Tremonti on Nov. 5, 2008, after Obama was first elected. "And I think one of the great things about Barack Obama and his family is the shocking ordinariness of it all. His daughter standing on stage and waving at him and saying, 'I love you, daddy,'" Coates said. In the same interview, Coates said these seemingly small things are really important. "I think it is key, if we are going to move forward in multicultural America, is being able to see each other as human beings. So I think the very lived humanity, the ordinariness of Barack Obama is just going to do big things in terms of race relations." Coates argues Obama's ordinariness is what made him seem like a threat to so many others, and it's what underscores America's problem with white supremacy. His new book, We Were in Power for Eight Years: An American Tragedy, looks extensively into the role of white supremacy in the Obama presidency. 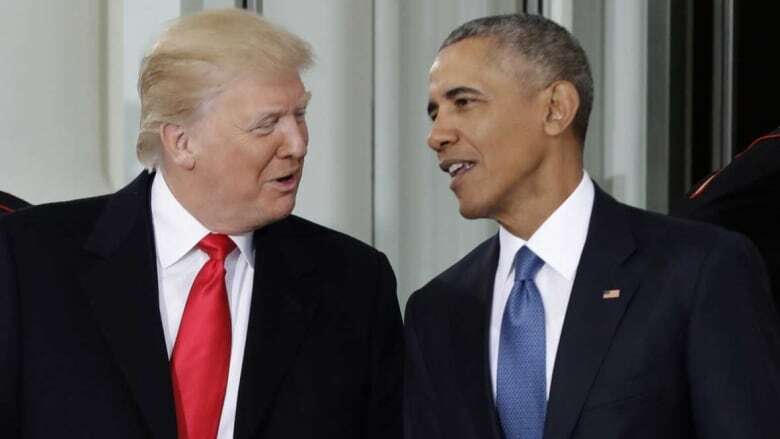 It's been nine years since then-President Obama served out two terms as president, only to see his legacy under assault by the new Republican President Donald Trump. "I was a different person then," Coates tells Tremonti. "I think what I probably was not accounting for in that moment was the fact that ... there were people who would see that and actually go the other way. That it would be in some sense repellent to them, to see that humanity on display." He says at the time, he assumed there was "a critical mass of people in the white community who were open - and that's not to say that there aren't some, that there aren't in fact many—but I think the critical mass was clearly on the other side. I mean, I think that is the evidence of the election." Coates believes the backlash against the election of Obama was critical in bringing Trump to power. "It was the reaction to it. It was the inability to tolerate it," Coates says about Obama occupying the Oval Office. "Before Obama, we had a string of white male presidents, and that ... along with other iconography across the culture, offered this idea to white men that any of them could be president." 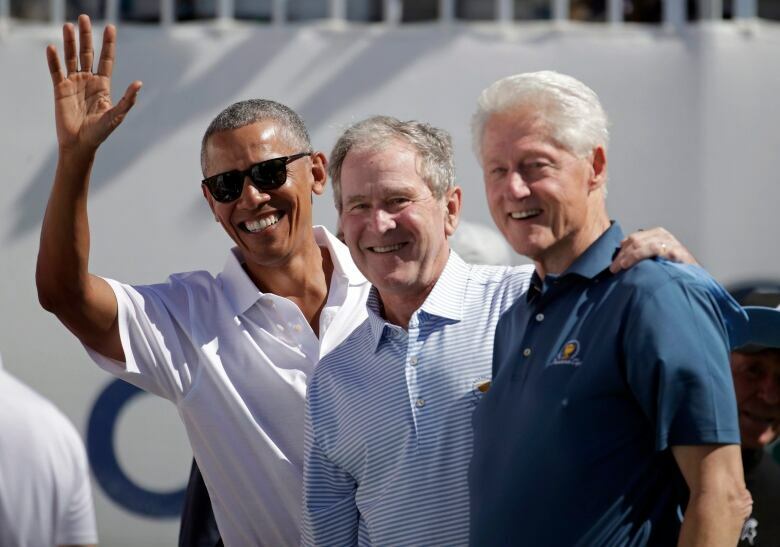 (left to right) Former U.S. Presidents Barack Obama, George W. Bush and Bill Clinton. Coates says that the string of white presidents before Obama offered the idea that any white man could be president. (Julio Cortez/Associated Press)It didn't matter where you were from, says Coates. "The broad diaspora of white American maledom had access to the Oval Office, and Barack Obama said 'No, you didn't.'" "Because that broad access wasn't just built on the idea that anyone like me can be president, it was also built on the idea that certain other people can't be president."